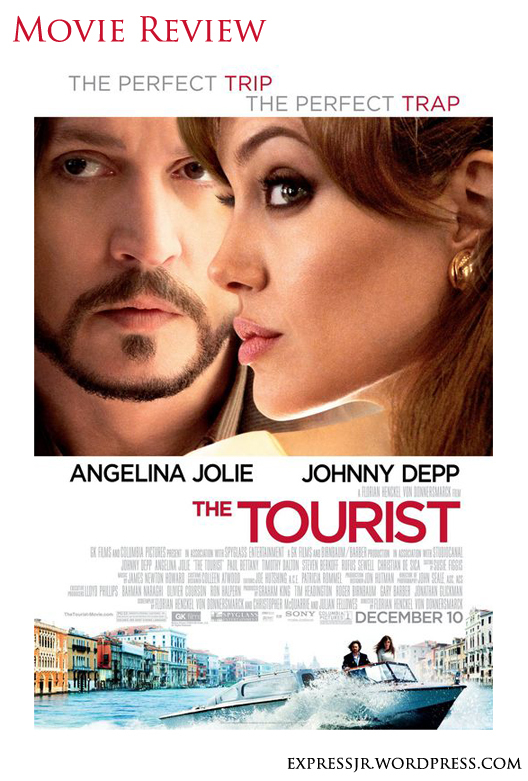 The Tourist is a romantic comedy crossed with a thief-pursuit thriller starring Angelina Jolie and Johnny Depp and directed by Florian Henckel von Donnersmarck who is back after his first movie The Lives of Others (2006) which won the 2007 Oscar for best foreign film. However, The Tourist is, in my opinion, not as good as Von Donnersmarck first movie. I was a bit disappointed by this movie I think it was a bit boring: There were no considerable changes in the plot during the film, the story is stated at the beginning and then there is nothing new till the end. I do admit that the story idea is very interesting and thrilling but, maybe they should have made this movie in a different way emphasizing more on continuous action through the movie and maybe having a less “stupid” humor. Angelina Jolie was really good in her character and she really created a very mysterious atmosphere around her which was the main characteristic of the character. However, I think Johnny Depp should have gone more “crazy” on his character as he did in the Pirate of the Caribbean serie, it would have resulted in a more interesting “American tourist”. In terms of directing, I think the movie was well directed on all levels. Some of the scenes really attracted me in terms of filming techniques like for example the scene in which both main characters undress themselves to put on their pyjamas. I liked the parallelism of footages made to construct the scene.